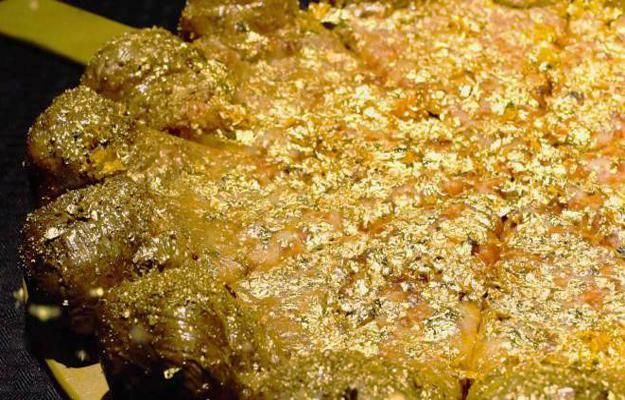 Gold added to food is an ancient trick known since the 16th century. Elegant food decoration with gold continues making innovative meals and drinks look beautiful and unique. Edible gold in food is the decoration idea that becomes a symbol of expensive restaurants, exclusiveness, chic, and high status. Golden color and shine of pure gold improve the food presentation, add unique accents to food design, and make wealthy people feel very special. Here are foods that turn into fabulous and expensive treats by edible decorations made with pure golden flakes, dust, pearls, and diamonds. The luxury goods decorated with pure gold, brilliant meals, elite drinks at expensive restaurants surprise and delight all who can afford the exclusive offers. Lushome collection features foods that blend golden decorations with high-quality ingredients and super high prices. 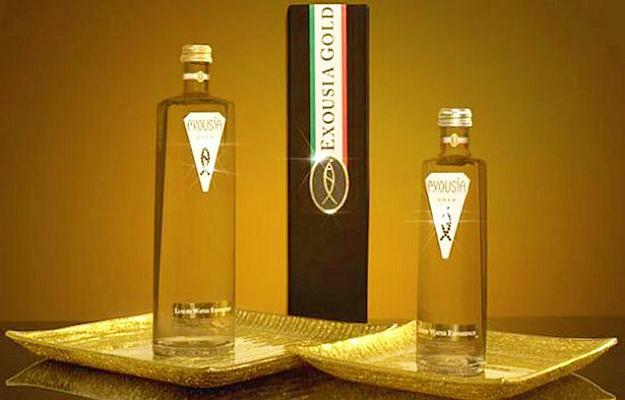 24K gold makes the luxury water a unique product. It supposes to fight stress and features anti-gerontological properties. The cost is as much as $ 2,800. 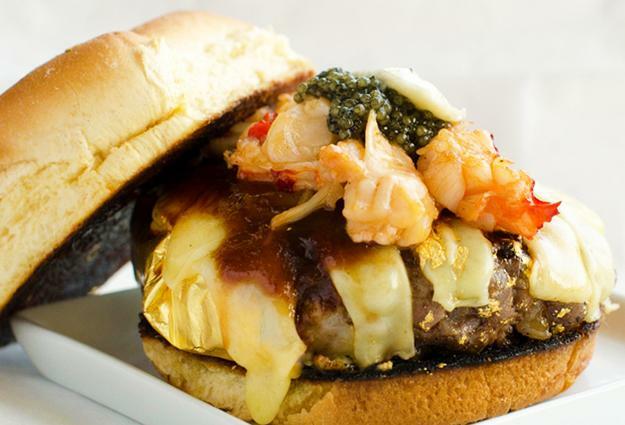 Made in New York, these rare hamburgers cost $ 666. 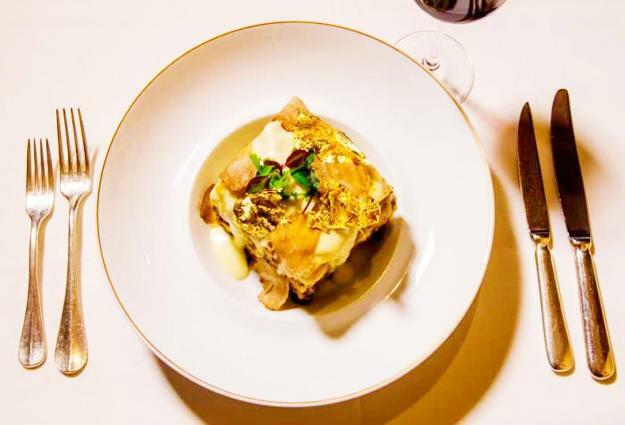 The most expensive ingredients, Kobe beef, caviar, lobster meat, truffles, and gruyere cheese create the delicious meal. Wrapped in a gold leaf the burger looks fantastic. 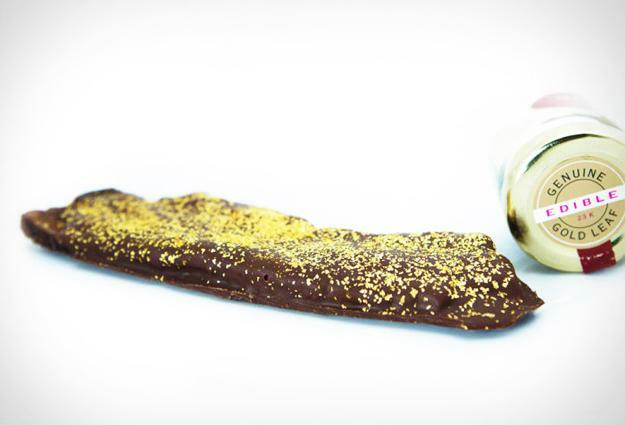 The chocolate bacon in almost pure gold is an ideal treat for all who appreciate unusual and luxurious cuisine. Bacon with a delicious touch of a cherry tree smoke, covered in Guittard chocolate and 23K gold flakes, makes a fabulous snack for 40 dollars. The meal and 23K gold leaf decorations cost $ 100. Kobe beef, foie gras, mozzarella cheese, Iberico ham, white truffles work well together making each piece offer a unique and unforgettable experience. 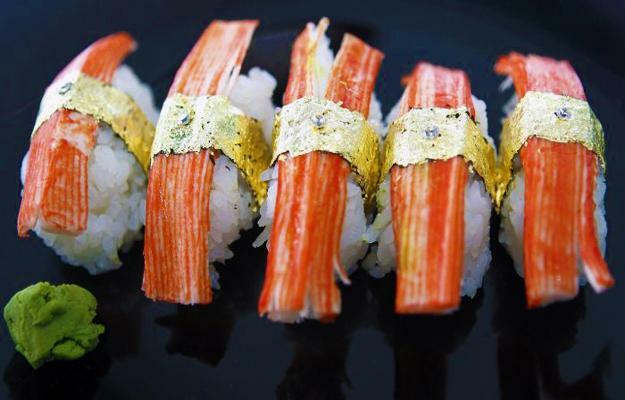 Golden sushi is one of the most expensive food in the world. For $ 1800 per piece, Chef Angelito Araneta Jr. created golden sushi using exotic, costly ingredients such as Norwegian salmon, foie gras, wild saffron. 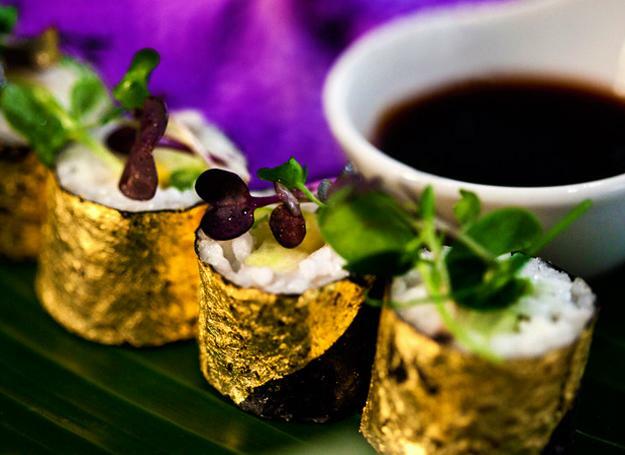 Instead of using seaweed, the chef creates chic wraps with golden leaves and add pearl accents to food decoration. 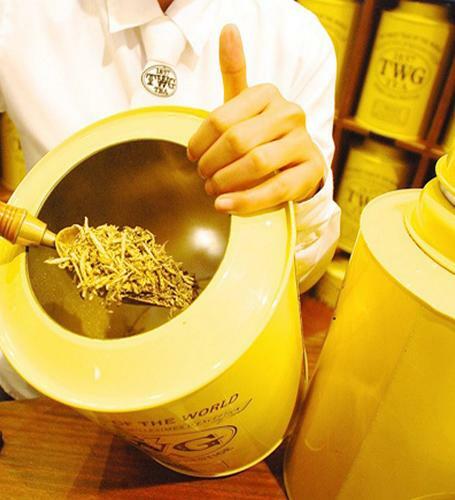 Yellow Gold Tea Buds with 24K gold dust from the Singapore company TWG are the most expensive kind of drinks in the world. It costs $ 528 for 50 grams. The tea leaves are collected only one day per year, on a secret plantation in the mountains. 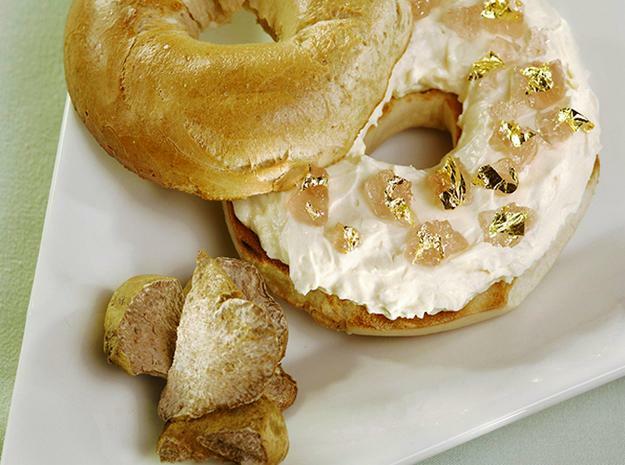 Chef Frank Tudzhey from The Westin New York came up with the idea of creating a luxury bagel which costs 1000 dollars. The bagels with white truffle cream cheese, which is the second most expensive product after caviar, taste delicious. Sprinkled with goji berries and gold leaflets the meal looks bright and original. Pizza is for $ 2,000 at Kitchen Kitchen in Manhattan. It contains edible decorations of pure gold. Also, there is meat of black squid, foie gras, truffles from France, sturgeon caviar in the filling. Edible flowers adorn the spectacular, exclusive, and delicious pizza. 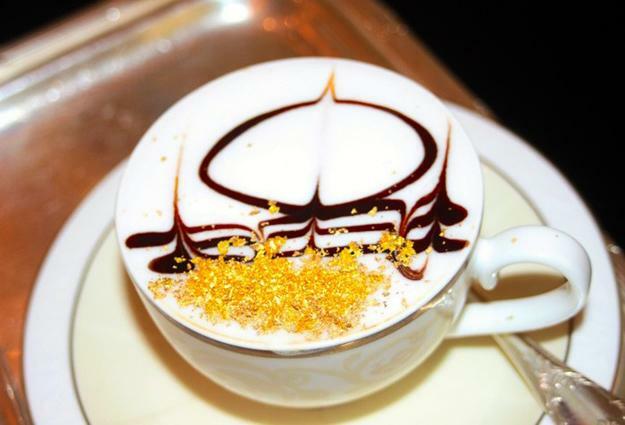 Dubai is known as one of the most famous luxurious tourist attractions offering Palace Cappuccino for $ 16 in the Emirates Palace. Cover with golden flakes, the unique blend of coffee makes an expensive, but spectacular drink. 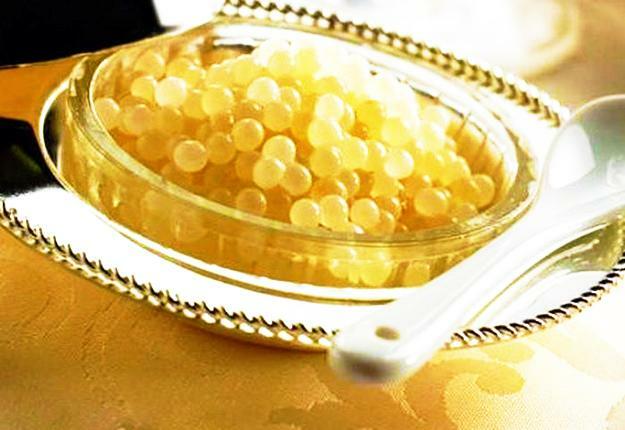 Caviar, known as white gold, is the most expensive product on the planet. A kilogram of white caviar costs around $ 300,000, $ 40,000 for a teaspoonful. The delicacy with 22K gold decoration offers the most exclusive treat to wealthy seafood fans.